One of the first areas that many patients ask me about is their eyes. I remember a woman explaining to me that she was always complimented on her beautiful blue eyes. As the years went by, she noted that people stopped commenting on them. After upper eyelid surgery, she remarked that strangers are talking about my big blues eyes again! Not that she looked different or what did she have done…but just, you really do have striking eyes. The eyes are a tricky area to treat due to thin skin, bulging fat and many lines, but here are some of my thoughts. No one likes the bags that form under their eyes as they age. These bags are due to herniated peri-orbital fat. As a child, the fat is located under and behind your eye and as you age, it starts to move forward and push against your lower and upper eyelid skin. The only way to truly treat these fat pockets is to remove them. This can be done through an upper or lower blepharoplasty or eyelid surgery. Incisions are hidden in the creases of the upper lids and just beneath the lashes on the lower lids. If no skin has to be removed from the lower lids, it is possible to hide the incision on the inside of the lower lid so there is no scar. This is called a transconjunctival blepharoplasty. 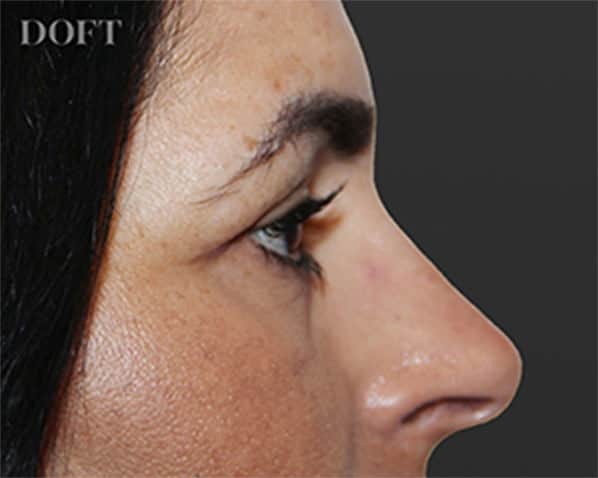 I use specialized techniques to correct lower eyelid puffiness and deep tear troughs that entail repositioning some fat to avoid a hollow appearance and trimming the excess fat. I will often combine surgery with laser resurfacing, removing excess fat and skin while giving a collagen boost to the skin and improving fine lines. Many patients seek an upper blepharoplasty to lift drooping eyelids to create a more awake appearance. 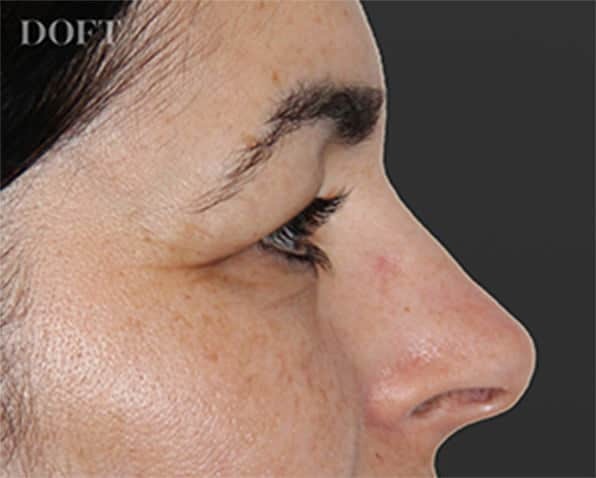 During the procedure, an ellipse of skin is removed from the upper eyelid, creating a more tailored appearance. The incision is hidden within the crease of your upper lid. 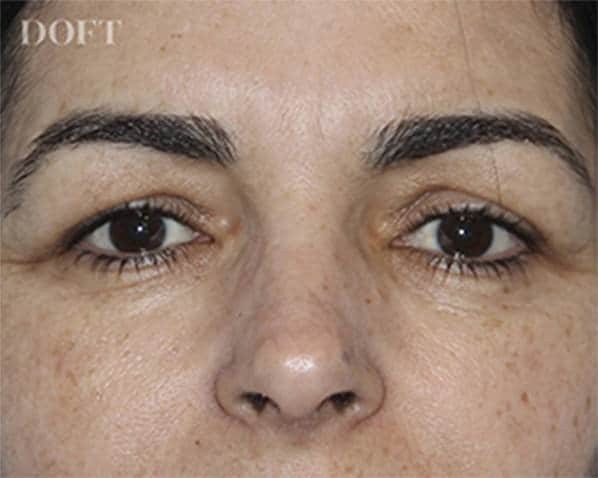 As upper eyelid skin ages, patients notice a significant amount of hooding. Sometimes, the extra skin is so impressive that it can touch your eyelashes. In these cases, blepharoplasty improves sight by lifting droopy eyelids out of your field of vision. For many women, the extra skin affects their ability to apply make-up, leads to a tired appearance and can prevent vision. In some cases, injecting a neurotoxin (Botox, Dysport, or Xeomin) into the upper eyelid can cause the eyelid to rise giving a more awake appearance. In other cases, patients are happier removing an ellipse of skin to give a more tailored appearance. 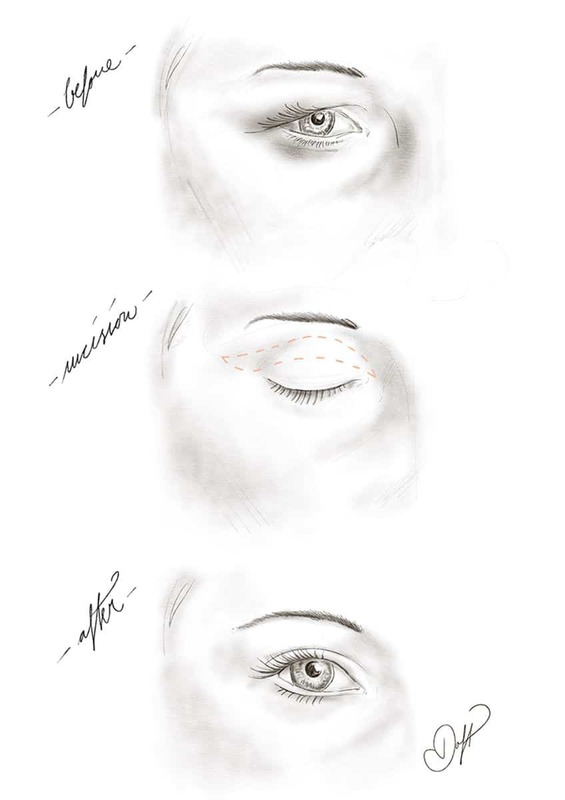 The incision is hidden along the crease of your upper lid. Upper eyelid surgery is often performed in the office under local anesthesia (lidocaine) or can be combined with other procedures in the operating room. When performed in the office, we often give patients three things to help them relax: valium, vicodin and a little Sinatra. It works every time! The surgery will take one to two hours and the recovery is only a few days. Patients are often surprised by how comfortable they are after surgery. Most patients will use pain medication for the first two days. Due to the thin skin layer, the eyes easily bruise and swell. Swelling will peak three days after surgery and will start to resolve afterward. Stitches are removed five to six days after surgery. It is best to avoid wearing contact lenses for two weeks. Most people can return to work and other regular activities within one week after the procedure. Most patients do not have to repeat lower eyelid surgery. Occasionally patients will remove a little more skin from the upper eyelid years after the surgery was performed due to skin sagging. Although a delicious dessert, the thousand lines that form within crepey lower lid skin are not as tempting. So many patients ask about what they can do to make their skin appear plumper. The key is to increase the amount of collagen in the dermis, increasing the volume of the skin. This can be achieved by making small insults to the skin by lasers or chemical peels, triggering the skin to increase collagen production. 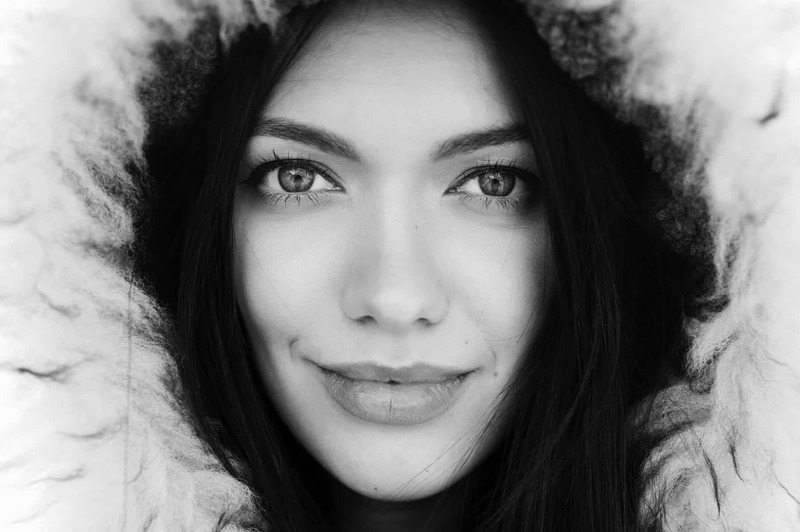 Some practitioners believe that adding hyaluronic acid, a dermal filler, to this area will thicken the skin and therefore make it appear less crepey. Moreover, eye creams with plumping abilities can also be helpful. Several ingredients in the Doft eye cream were chosen for their ability to attract water into the skin to help smooth the appearance of the under eye area. Dreaded dark circles are a problem for so many individuals. They are a challenge to treat as the cause is multifactorial, including genetics, lifestyle, and environmental stresses. They are partly due to having thin lower eyelid skin and superficial blood vessels. As the vessels travel close to the surface of your skin, they become more visible. Increasing the thickness of the skin could potentially decrease the visibility of the vessels. But the problem is more than just the presence of the vessels, the vessels may also become leaky. Micro leaks can lead to staining of the lower eyelid skin similar to a bruise which can last for weeks. In some families, the darkness is due to a sun-sensitivity or a hyperpigmentation under the eyes and thus lightening creams can be helpful. For others it can be due to puffiness from fatigue-induced swelling, this worsens under-eye bags creating shadows and darkening the circles. The key to treatment is to correctly identify the cause of the circles. Eye products which help restore eyelid skin thickness, constrict blood vessels, and remove pigmentation will significantly help. More and more young patients are approaching me about their crow’s feet or the wrinkles on the sides of their eyes. Are we be becoming more expressive, creating more lines? Are we more exposed to environmental toxins? Or are we just more aware of these lines now that we know they can be treated? The crow’s feet are very easily relaxed using neurotoxins like Botox, Dysport or Xeomin. Most patients will have injections placed every three to six months. I use very small needles that are imported from Japan to reduce the potential of bruises in this delicate area. 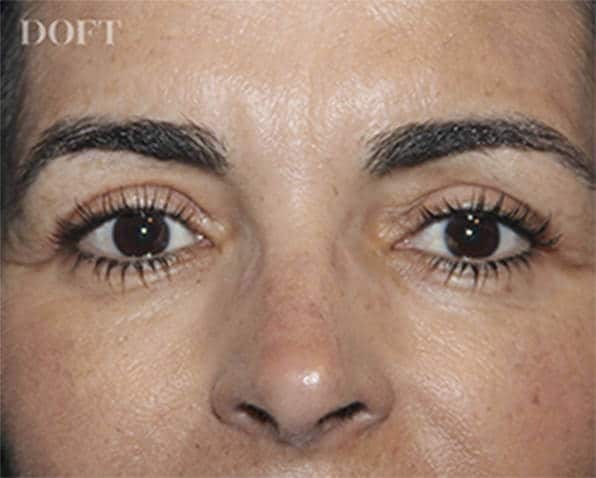 When placed correctly, neurotoxins can lead to an eyelift by decreasing the downward pull on the upper eyelid. I also encourage patients to take preventative measures like wearing sunscreen and using skincare products with antioxidants and retinol. If you are considering eyelid surgery or eyelid rejuvenation, please call our office at (212) 600.4109 to arrange for a consultation. Our New York City practice accommodates out of town and international patients who need to travel in for surgery as well as those who are local to Manhattan.